Swiss AviationSoftware is a leading supplier of aviation maintenance management software (MRO software) worldwide providing the best value for small, medium and large-sized companies. AMOS is a comprehensive, fully-integrated software package that successfully manages the maintenance, engineering and logistics requirements of modern airlines and MRO providers by fulfilling demanding airworthiness standards. Combining 20 years of innovation and excellence in the area of IT/MRO, Swiss AviationSoftware (Swiss-AS) has become a fixture in the MRO software market and the industry-leading maintenance management system in Europe and beyond. The scope of AMOS business functions available today is second to none, and the high degree of integration that AMOS offers its users is unsurpassed. AMOS consists of seven core modules administered in one relational database. Despite the system’s modular architecture that allows the module-wise implementation of the system, the high degree of integration of the different modules in one system is prerequisite for data quality, productivity, reliability and informed business decisions. Additional non-core modules have been developed and are at the user’s disposition, such as a Financial Management Module, useful tools for Workflow Management as well as a large set of numerous predefined Reports. The wide spectrum of AMOS functionalities combined with cutting-edge technology attribute to AMOS an unrivalled position as the best-selling MRO software on the market. Armac Systems is a leading MRO Inventory Planning and Optimization solutions provider for the aviation sector. Its solution supports the continuous optimization of spare parts inventory across airline and MRO operational networks, maximising essential inventory availability at maintenance locations while minimising investment and costs. With our level of experience and technical knowledge within the aviation sector, CrossConsense is the ideal strategic partner for Armac to bring their MRO Inventory Planning and Optimization solution to users of AMOS. Armac works closely with CrossConsense on IT System integration frameworks to create interfaces and data exchanges between Armac’s Solution and AMOS, the industry-leading aviation maintenance management system. The integration frameworks support the automation of inventory optimization decisions in Armac’s solution into material’s management processes in AMOS. This integration provides maintenance business organisations with a best in breed total solution to ensure optimal efficiency and effectiveness in MRO inventory planning to support their scheduled and unscheduled maintenance events. Aerospace Software Developments (ASD) is a dynamic software development company which specialises in the development and implementation of applications specifically designed for the Aerospace market sector. Based in Dublin, Ireland, Aerospace Software Developments (ASD) is a dynamic software development company which specialises in the development and implementation of applications specifically designed for the Aerospace market sector. ASD personnel has been involved in the Aerospace sector since 1996, successfully developing and implementing legacy, client server and J2EE web-based applications. For more than 30 years DR. THOMAS + PARTNER (TUP) provides logistics solutions for national and international companies of varying sizes and industries. The service offer extends from assistance in conceptual questions about the planning and implementation of individual solutions, to the selection of suitable technology. Please watch the video published on YouTube® concerning the Mobile Device System (MDS) – a product of many years of experience in the field of mobile data collection. Specially adapted to the high demands of the aviation industry, MDS is the mobile user interface for the modern intralogistics services in the aviation sector. 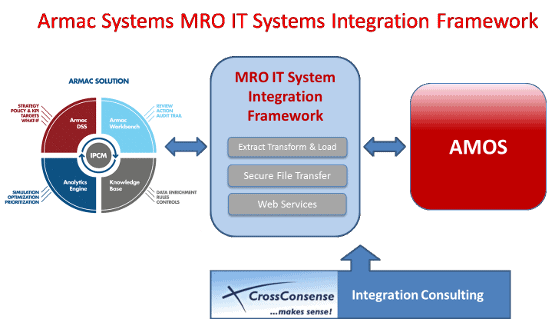 MDS has been developed in cooperation between Swiss Aviation Software, Dr. Thomas & Partner and CrossConsense.